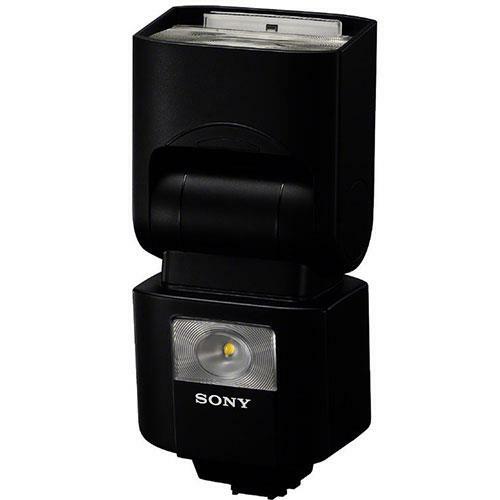 The Sony HVL-F45RM is a powerful yet compact radio wireless flashgun for Sony α E-mount interchangeable-lens cameras. Explore the freedom of built-in wireless radio control in multi-flash settings and conventional optical wireless communication. Easy operation, excellent reliability, expert results. 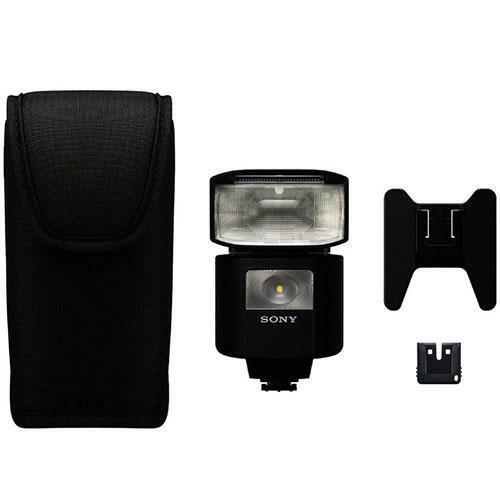 This dramatically downsized1 compact lightweight clip-on flash with guide number (GN) 45 is best suited to use with the α7 series. 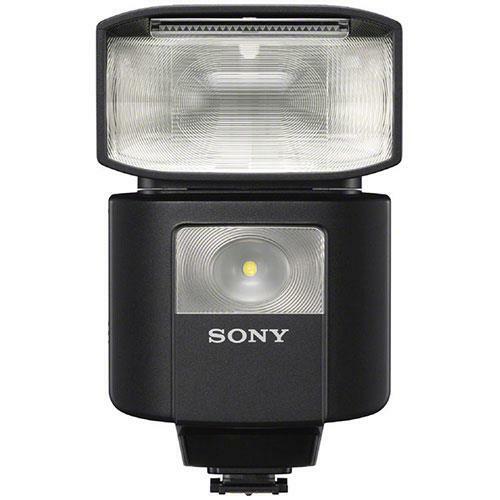 The flash supplies powerful output even for bounce lighting, recycling only takes approx. 2.5 seconds, and stamina in performance delivers up to approx. 210 bursts. 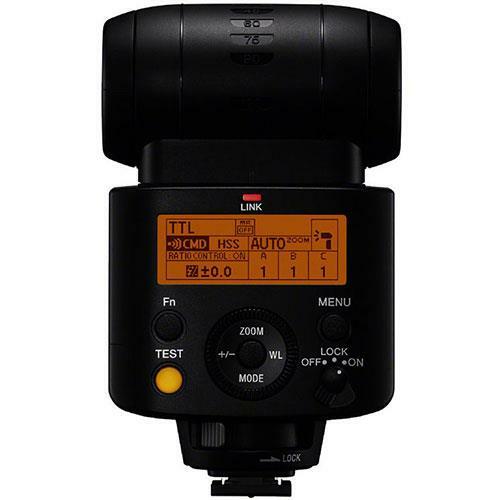 Use this flash with a compatible camera for multi-flash shooting, even under strong sunlight or from relatively distant location thanks to its radio-controlled system. The HVL-F45RM can be either wireless commander or receiver. As a commander, HVL-F45RM supports up to 15 units of compatible flashes or receivers in up to 5 groups, for connecting with remote units at up to 30 meteres. It also works with optical wireless communications. Count on reliable flash even in challenging outdoor conditions with specially designed seals at joints around the durable body to keep out dust and moisture16. This is a particular bonus in outdoor usage where you have no control over various factors including wind and environmental dust. 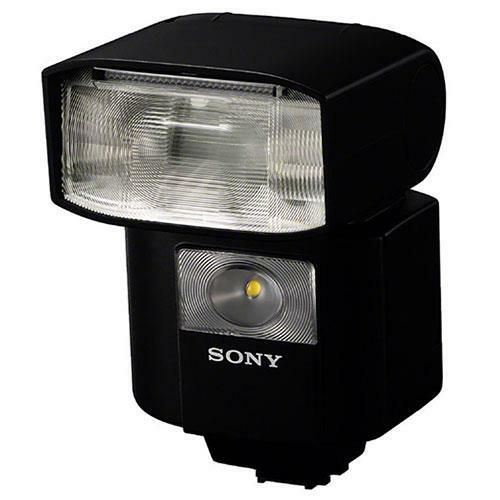 Even when performing wireless flash shooting, flash output can be determined based on accurate measurement of the amount of light through the lens. Since you can freely change position and direction of the flash unit exactly as you want, it’s possible to soften intense shadows and suppress blown highlights when shooting a subject from right in front (of the subject), or add soft shadows that emphasize a sense of depth and presence. Wireless flash ratio control is available.